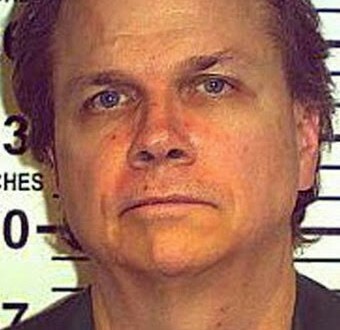 Lennon's Killer Denied Parole - Joe.My.God. John Lennon’s killer was denied parole yesterday for the eighth time. According to the decision, “the panel has determined that if released at this time, there is a reasonable probability that you would not live and remain at liberty without again violating the law.” The panel added that “your release would be incompatible with the welfare of society and would so deprecate the serious nature of the crime as to undermine respect for the law.” Ono sent word to the Parole Board that she again opposed Chapman’s release out of fear for herself and Lennon’s two sons. She also expressed concerns that Chapman himself would be at risk from still irate Lennon fans looking to get even. Her lawyer had no immediate comment Friday. The panel noted that Chapman received letters of support and expressed remorse. It also reviewed his prison disciplinary record, which has been clean since 1994. But the Parole Board commissioners noted community opposition to his release. Chapman, who is permitted conjugal visits with his wife, says that he has found Jesus in prison. His next parole hearing is in 2016.